There is nothing like this extraordinary place anywhere else in the world; it possesses bewitching beauty and an astonishing artistic wealth. There are incredible pageants of shapes and color, which make it an ideal place for people interested in history or art, keen photographers or those who enjoy walking. 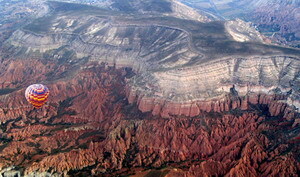 It is a place where natural and human influences live together in unbelievable harmony. In the 'Fairy Chimneys', one can see where people have lived in cave dwellings with kitchens, stables, and wine cellars in subterranean cities. The churches and stone pyramids built into the eroded lava, the conical columns and weirdly shaped rocks make an inimitable place where geology, history and art mix. It is where East meets West; a melting pot of peoples, languages, religions and cultures -- a priceless cultural heritage. 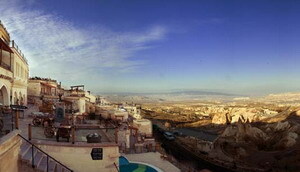 This is CAPPADOCIA. 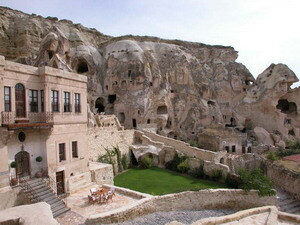 Perfectly decorated Anatolian Cave Suites in the heart of Cappadocia. 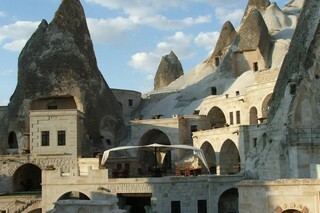 Anatolian Houses has luxurious hotel service within cave formations which is part of Cappadocia's historical structure. NO AC in Rooms and although cave rooms which are cooler, we do have complaints from clients. They offer a fan. 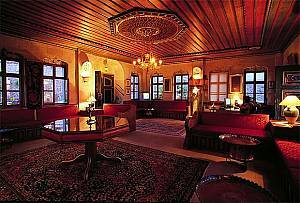 Situated in the heart of Uchisar Village, This hotel offers old world charm with modern amenities, including free wireless internet access. Each of the rooms and suites at Argos is appointed with rich fabrics and original details, including beautiful stone carvings. Relax in elegant surroundings and admire the antique furnishings. The Splendid Suite with it's indoor swimming pool is quite Lux especially as you look out top the vast splendid terrain. This very new complex is created from those wonderful fairy chimneys so not only is it intriquing in its style but has added wonderful amenities making it one of the nicest hotels in the region. Suites with Jacuzzi are heaven after watching a wonderful sunset. 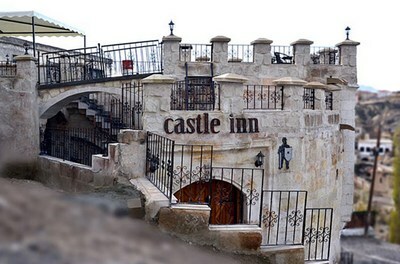 Castle Inn is a newly restorated & renovated 150 year old Cappadocian house, featuring 5 uniquely designed cozy rooms with numerous amenities in a quiet environment. Hotel’s location in the heart of Cappadocia provides guests with immediate access to Red Valley,Rose Valley,Goreme,Urgup,Uchisar,MustafaPasa, and Avanos as well as Cappadocia’s most outstanding open air museums, rock formations and attractions. 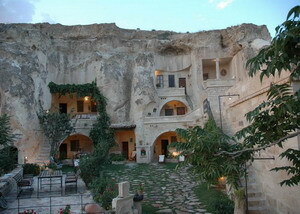 In contract to staying in some of the other towns of Cappadocia, a stay in Ortahisar is more local & authentic. You can observe and experience the life of the local people. 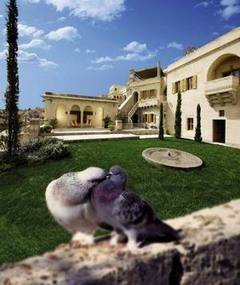 Elkep Evi is comprised of two seven-room pensions managed jointly to maintain the intimacy of two small hotels. The pensions offer cave rooms with modern luxury but not a luxury hotel. The pensions are located across the lane from each other on the hill above the town of Urgup in Cappadocia. There's nothing quite like it: you get up before dawn, grab a quick cup of coffee, climb into an all-terrain vehicle and set out for the launch site. As the sky lightens, you watch a pile of fabric the size of a small car become a huge, graceful balloon. Standing in the basket beneath, your pilot turns a valve, flames roar upward into the void, and you lift off into the chilly morning air to float across the Cappadocian landscape just as the warming sun makes its way above the horizon. 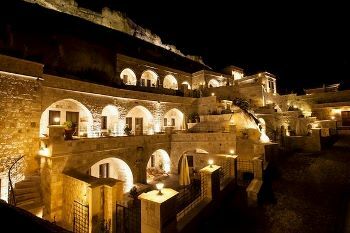 Just over half a mile from Urgup town center, Kayakapi Premium Caves comprises 28 beautifully restored cave rooms and suites, plus one mansion, which were once dwellings on the slopes which overlook the fascinating Cappadocia landscape. 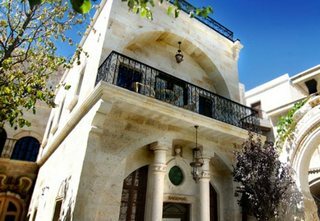 The hotel is called the Museum Hotel, both because it reflects the history of the region on a wide scale and also because all kinds of historical artifacts is on display in the hotel, in the rooms as well as in the rest of the establishment. One of the best in this region. The owners have tried very hard to keep the warmth of the family run hotel but still adding modern amenities. The decor definitely has a Cappadocian feeling.